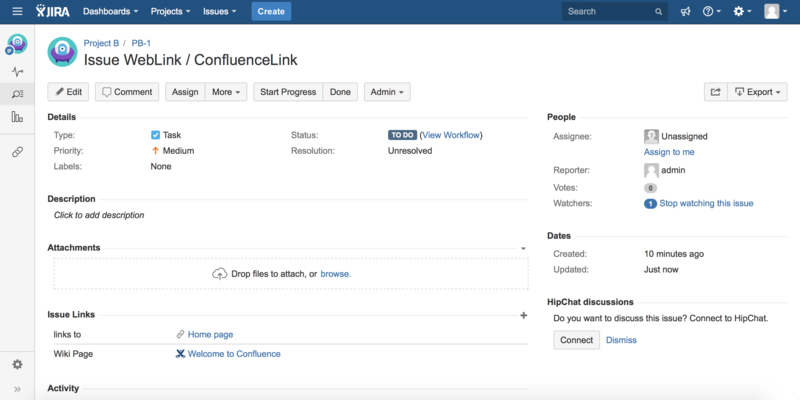 This Documentation has been migrated to a new website. Please visit the new it.Lab Documentation website. 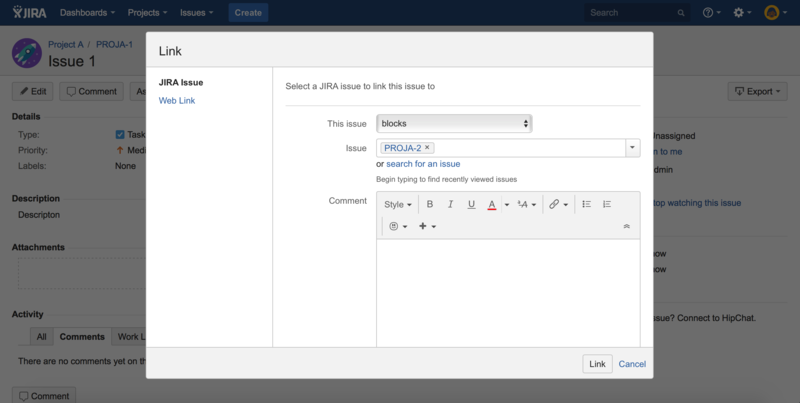 Issue Linked Event provide two functionality for JIRA. 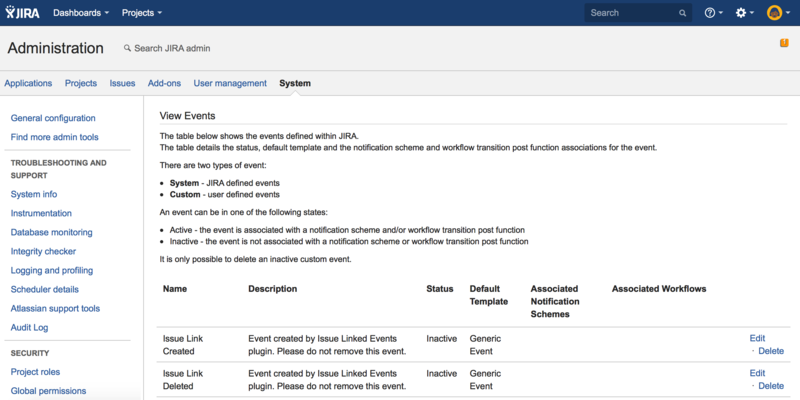 Plugin add two custom events into JIRA (Administration – System – View Events). 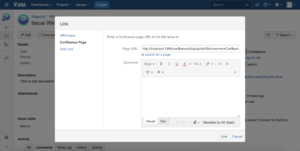 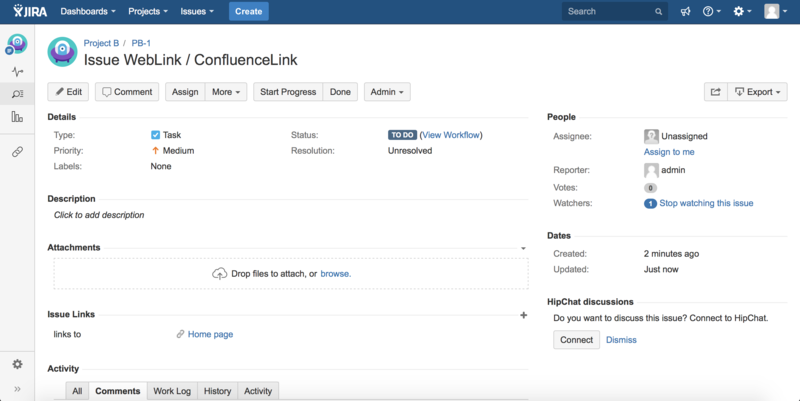 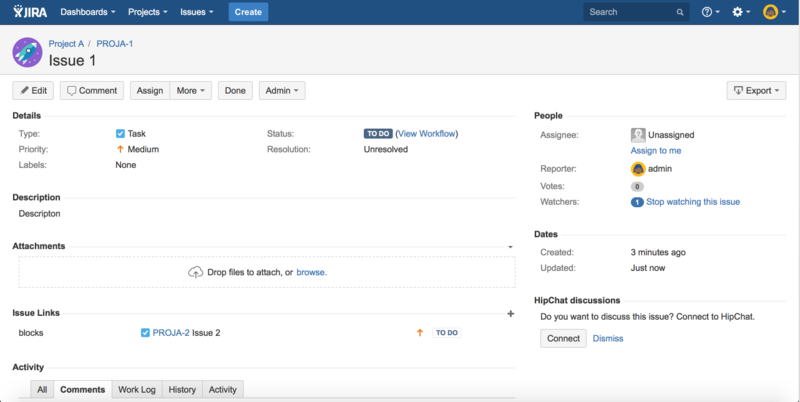 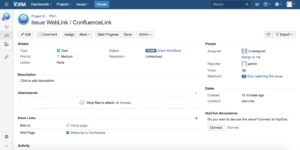 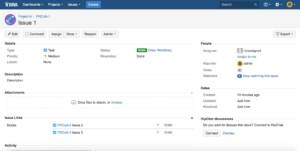 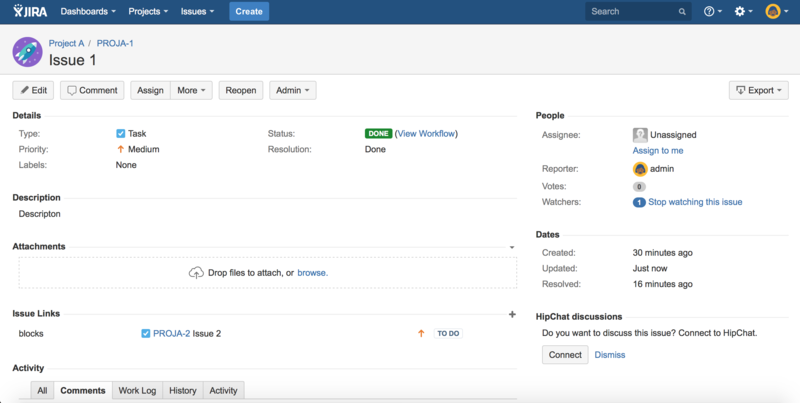 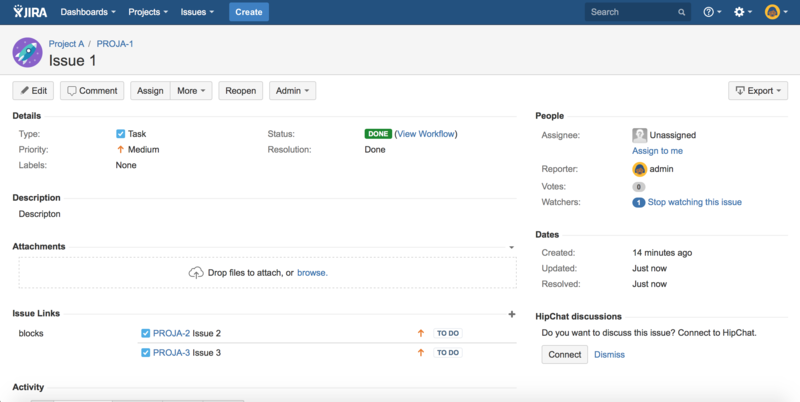 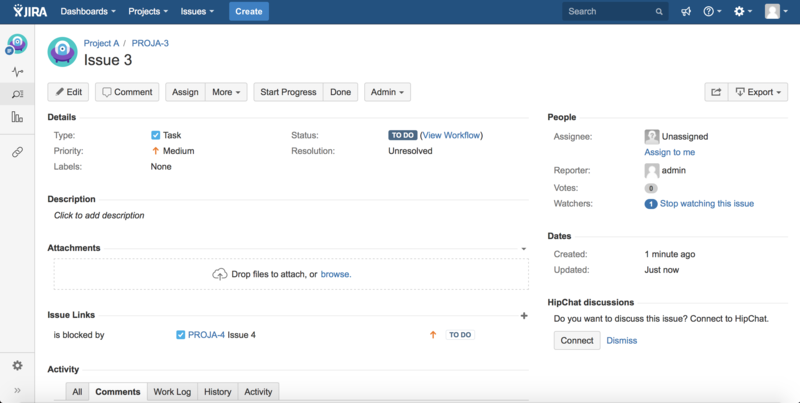 Events will be fired when you create JIRA, Web, Confluence link or when you delete any link from issue. 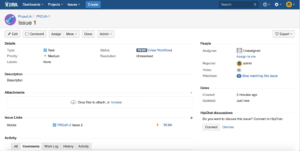 You can change template, assciated notification schemes, associated workflows and description, but remember … DON’T CHANGE EVENT NAMES. 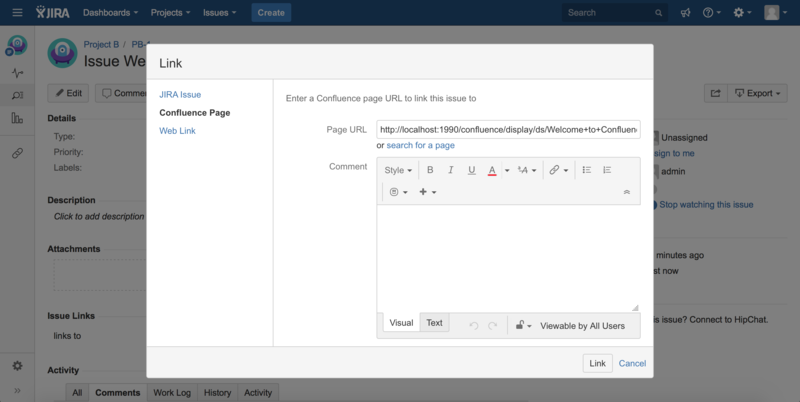 If you change it, the plugin will create new events!. 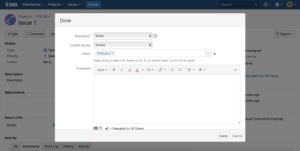 The default setting for new events can be seen below. For example if you checked “only for current issue” option and you try add new issue link, event will be fired only for current issue, but if you checked “current and linked issues” option, event will be fired for current and linked issue. 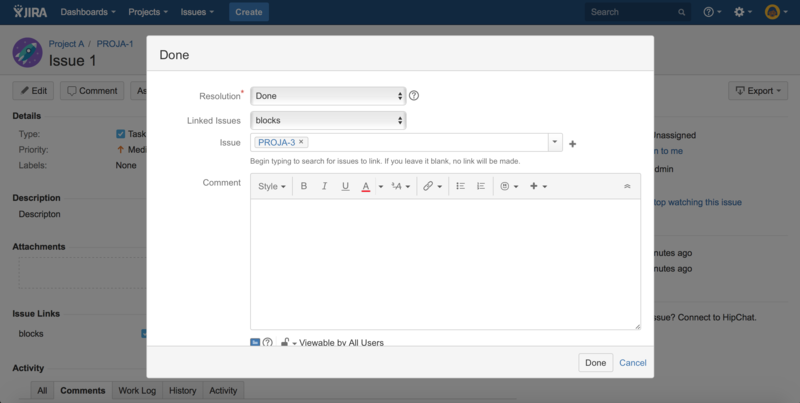 You can create rules for linked issues how will they be validated, for example: only Bug can be linked into Task with relation “is blocked by”. JQL query: issuetyp = Epic and status = “TO DO”Whats that mean? 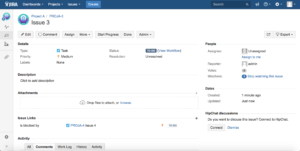 JQL query: issuetyp = BugWhats that mean? 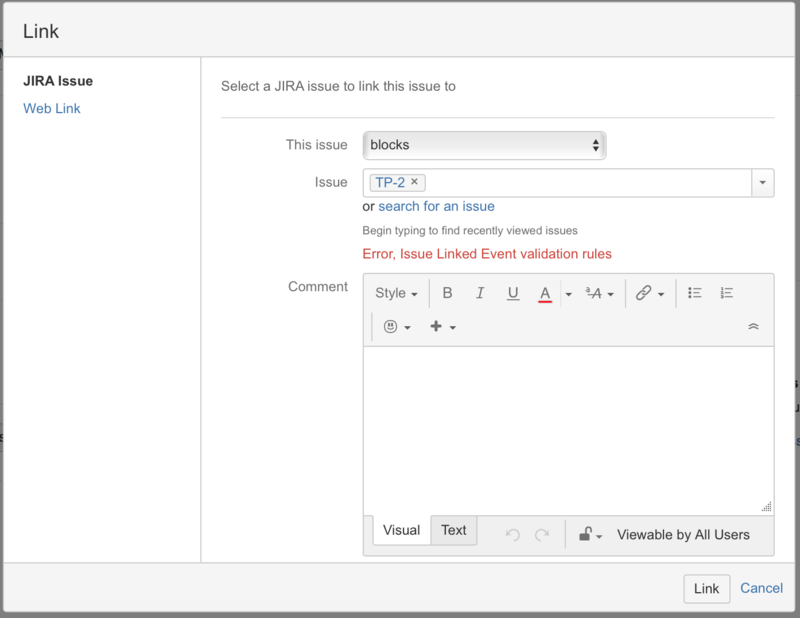 Only for strategy: All validation must by positive JQL provide information about error messages when validate not pass. 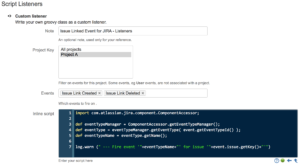 JQL query: summary ~ “Example error message for pair 1”Whats that mean? 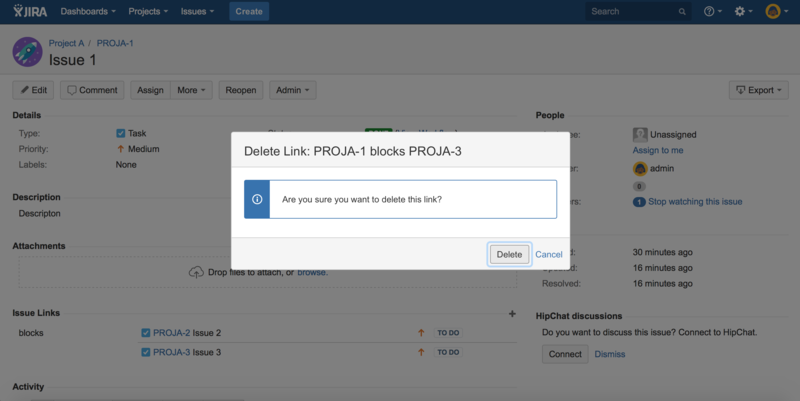 This is message to show, when validation for first pair not pass. 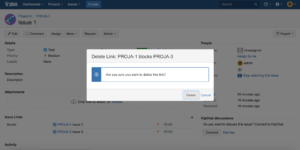 Only for strategy: Only one validation must by positive JQL provide information about error message when validate not pass. 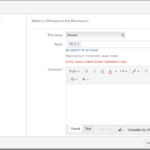 JQL query: summary ~ “Example error message for only one validation must by positive”Whats that mean? Issue Link Created/Deleted events has information about which links have been added or removed. 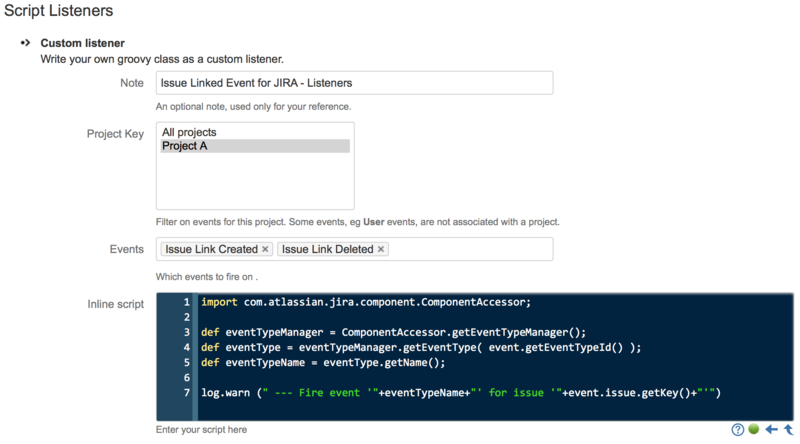 You can get it using method getParams form class com.atlassian.jira.event.issue.IssueEvent. If you have any questions or suggestions please don’t hesitate to contact me. 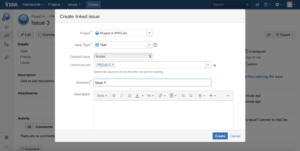 Please feel free to contact by support@itlab.net.pl, if you require any further information.